Mt. Laguna primary roads are maintained by the San Diego County road department. In the winter, Sunrise Highway is regularly plowed as are major access roads such as Los Huecos Rd. During heavy or prolonged snow, chains may be required to come up Sunrise Highway from Highway 8. This is determined by the Highway Patrol. Four-wheel and all-wheel drive vehicles are recommended when snow conditions are present. Cabin driveways are maintained by the cabin owners located on those driveways. 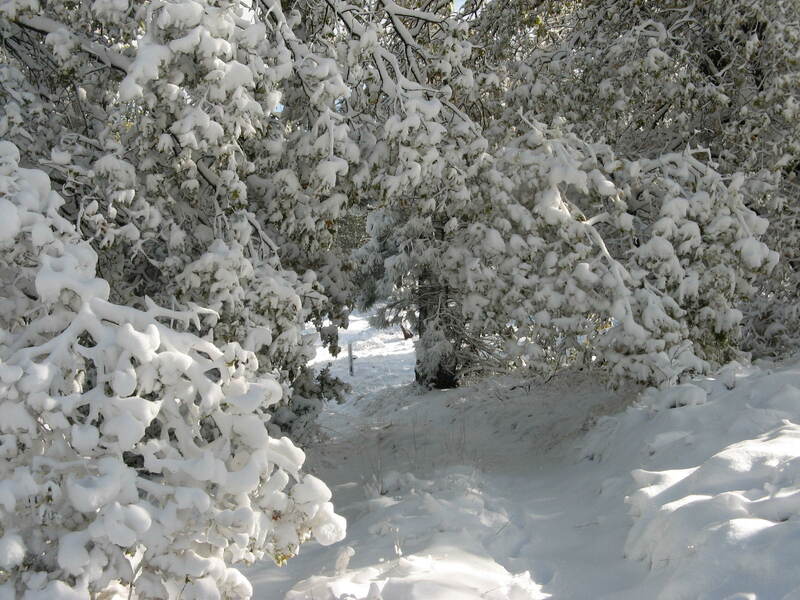 During winter, snow may block vehicle access along some cabin driveways and alternate access may be necessary. For some cabins, no cabin access is available during recent and heavy snows. The most accurate and reliable weather information is on the National Oceanic and Atmospheric Administration (NOAA) website. Click NOAA and enter “Mt Laguna, CA” into the Weather.gov Forecast Search box in the upper left portion of the Home page. San Diego County Road Closures – San Diego County information about scheduled road closures. Road Condition Updates – Call (800) 427-7623.
restaurants, stores, and organization on the mountain.